Hibiscus are attractive flowering shrubs that produce flowers that range in size from a modest 3 to 4 inches wide to a whopping 10 to 12 inch dinner-plate sized. One of the most popular and widely planted hibiscus is the Chinese hibiscus (Hibiscus rosa-sinensis) according to D. L. Ingram and L. Rabinowitz with the University of Florida Extension. 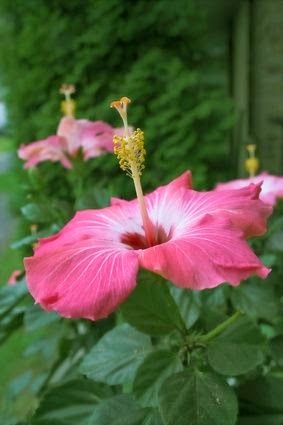 Yet the easier variety of hibisucs to propagate and grow is the hardy hibiscus, (Hibiscus moscheutos). Hardy hibiscus can tolerate colder weather and are relatively simple to propagate, just make sure you start with healthy, green cuttings taken in spring or summer.